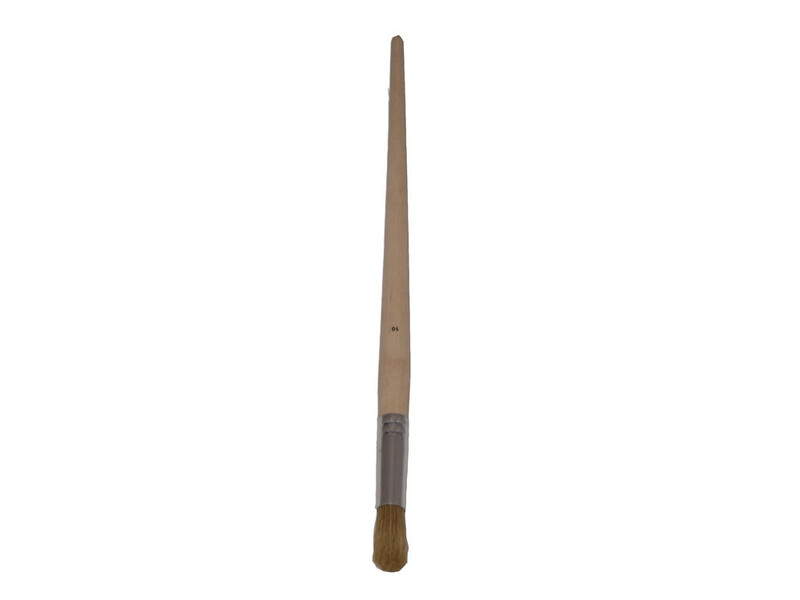 Prestige Round Fitch brush with pure white lily bristle and long reach wooden handle. 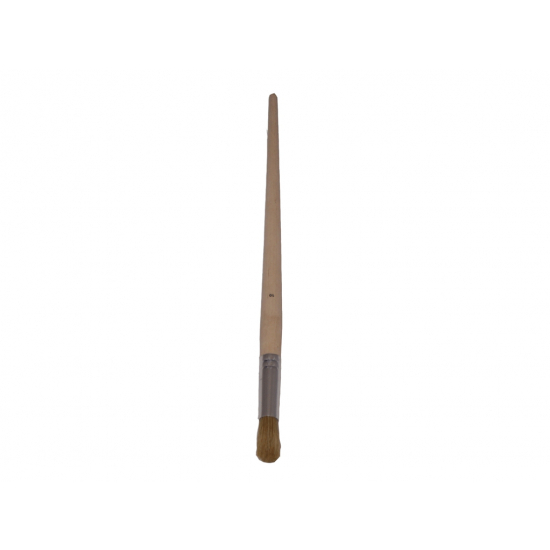 Prestige Round Fitch brush with pure white lily bristle and long reach wooden handle. Traditional artist and touch up painters brush for detailed painting on areas such as coving, window trims, edges and window sashes. Long lasting high quality fitch brush. Size; 12mm diametre.